Trying to set up a NetApp Data ONTAP NFSv4 share. When configuring sec=sys on a Linux client and sec=none on a NetApp filer, with NFSv3, the client makes an “AUTH_UNIX” call and the filer responds with “AUTH_NULL“. However, this is not the response that the client would expect. Therefore the filer replies incorrectly with only 1 flavor (it should be replying with 2), because NetApp code does not allow for “AUTH_NULL“. The ONTAP code does not support AUTH_NULL calls for anything except NULL calls. As for the response, where the filer responds with AUTH_NULL, this behavior is incorrect, as normally the filer should respond with two flavors of AUTH. However, even though the filer responds incorrectly, there is no immediate plan to resolve this across ONTAP and so the advice remains to use NFSv4 whenever AUTH_NULL is required. We were advised that there are a number of internal cases open within NetApp, but there is no expected fix as NFSv4 will take care of the issues encountered with NFSv3. So the advice from NetApp would be to use sec=sys on the client, sec=none on the filer, using NFSv4 from RHEL6 and upwards. Connect to the filer and create a new volume called NFS_TEST. Navigate to Filer > Storage > Exports. It is important to note that the security on the filer must be sec=none. We’ve spent hours with NetApp support engineers trying to figure out why it doesn’t squash regular users. 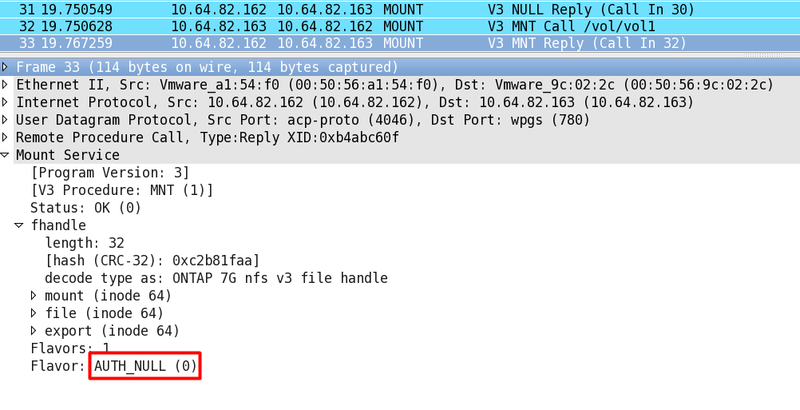 The filer must have sec=none, and the NFS client must have sec=sys. Allow root access for both clients. This will allow r/w access for Linux guests. We are using CentOS 6 in this example. The IP of the filer (NFS server) is 10.10.0.51. Make sure the client uses sec=sys and not sec=none. This will squash all users and not just the root. Also ensure the NFS version the client uses is NFSv4. NFSv3 is broken on ONTAP 8.x when used with RHEL 6 clients. At this point the share will be mounted as NFSv4 and owned by root, but we won’t be able to change the ownership. The reason for this is because the NFSv4 client sends symbolic user/group names rather than numeric userid/groupid as it was in NFSv2 and NFSv3 and the filer needs some way to map this symbolic names to numeric IDs. 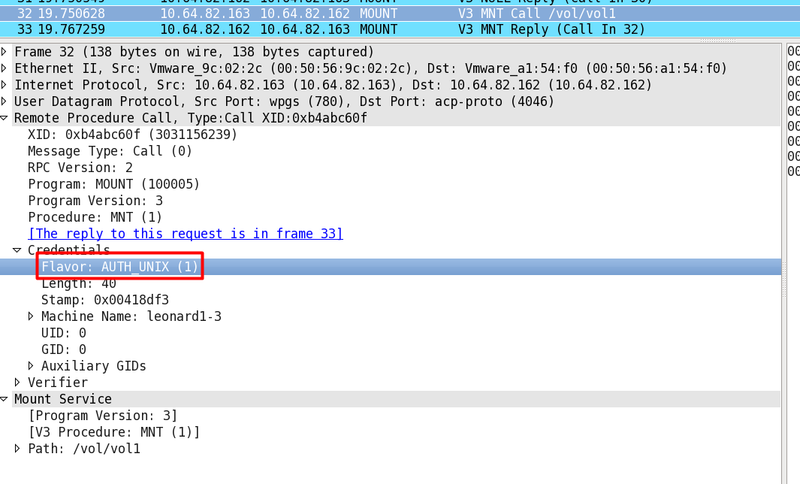 If the above does not work, change -sec=sys on the NetApp export. At this point all users should get squashed. This entry was posted in Linux and tagged NetApp, NFS, storage. Bookmark the permalink. If you notice any errors, please contact us.